Because you started reading this article, we are assuming you are considering bringing some changes to your home structure or planning on some addition or alteration. This might be a case where you want to build a carport within your boundary, or add an extra bedroom, or finish off basement or redecorate the attic. Well, whichever from the mentioned is your issue, MTB Carpentry and Construction is here to assist you in the project. With over 15 years of experience in the building and construction industry and the special skillset, we offer you the best service and bring you the ultimate result. There are many firms that offer similar service. Where do MTB Carpentry and Construction stand different? Values and priorities are what set an organisation apart. However skilled the service givers be, if their organisation values do not align with yours, the relationship is not going to work. MTB aims at giving you a building experience where there are no blurry lines. You can hire this organisation and rest easily knowing your project is in reliable hands and you are up for no unwanted surprises (e.g. hidden fees, or undiscussed design elements) later on. Experience and skill: MTB Carpentry and Construction team has over 15 years of experience in the industry which gives them an insight on how to handle such projects and figuring out the best possible way to do the job. Their skills and expertise match no other companies and the team’s polite and friendly approach create a comfortable environment for the customer. Free consultation and quotes: We offer free consultation on your home renovation issues and we provide free quotation and a high quality of work at competitive prices. With our quotes, you can be free of tension that you will be charged with no hidden costs after the task is done. We work on your terms: Our customers are our priority. We listen to your requirements, consider your budget and time frame and work accordingly. You will be updated about the task progress regularly so all your specifications are met and nothing goes against your preference. Customer care and communication: Our team of licensed tradesman are helpful, friendly and provide the highest quality work. They will take care of your project during and after construction. Once the project is complete we will always be there for any future projects or maintenance. No job is too small: We specialise in all aspects of construction ranging from small household jobs to major renovations. And however small or big your project is, we complete it with the same sincerity and dedication. 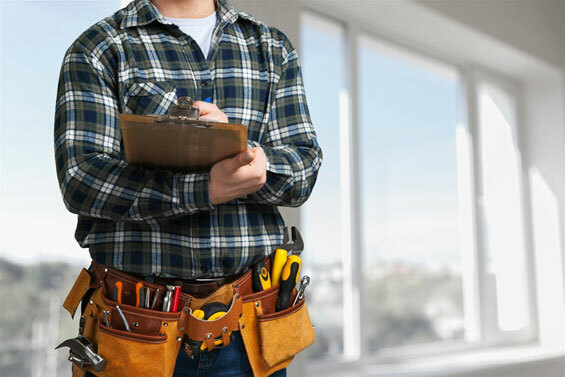 One stop solution for everything: Besides having an excellent building and renovation team, we can also arrange trusted tradesman from any sector so you don’t have to stress yourself out to find a decent tradesman. Electricians, painters, plumbers, plasterers, concreters, air conditioning installers, kitchen manufacturers, ceramic or roof tilers and renderers are only a phone call away. We can assure you price and quality of materials are always going to be the best. When doing business with MTB Carpentry and Construction you can rely on the quality of work provided and relax because we value professionalism and satisfaction of our customer. Visit our website or give a call to the team if you want a great experience and finish your renovation project with finesse.